Cute return address labels featuring a little cartoon fox sitting next to a rock with red and white toadstool (amanita muscaria) mushrooms. 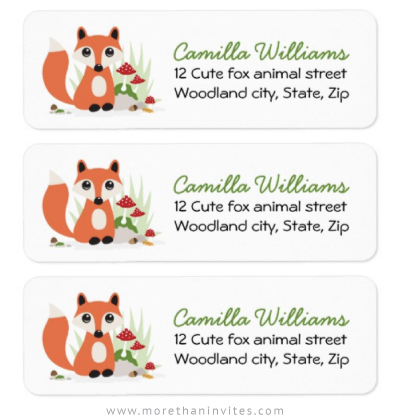 Ideal for a woodland themed event such as a birthday party or baby shower, or for anyone who would like cute fox return address labels. Available from Zazzle.